One of Charlottesville oldest cooperative art centers, this community of artists is located one block from the downtown mall and is devoted to helping artists improve and pass on their inspiration. Classes, workshops, tours, summer art camps, and a lively gallery reflect the Center’s desire to serve artists and the community. The collective artists rotate within the Center and create networking that benefits artists and creators throughout the region. First Friday exhibitions at McGuffey are a must for art lovers. For edgy, contemporary art with a new perspective that engages the world issues that often inspire artists to express their thoughts, Second Street Gallery offers some of the best talent in the field. The gallery’s mission is to create a new way of seeing, doing and talking about art, and to that end they engage the community with exhibitions, lectures, classes, tours, workshops and publications. 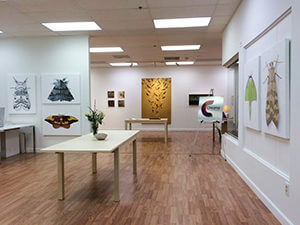 Their ultra chic gallery right on the downtown mall is a fresh and intriguing collection of modern artists. 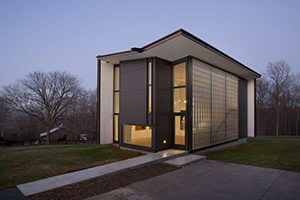 The University of Virginia’s Fralin Museum of Art is a beautiful gallery space that brings together the academic community and the residents of Charlottesville to experience and discuss fine art. Diverse offerings and tours given by educated and intriguing speakers create the perfect space to consider the meaning and identity of art. 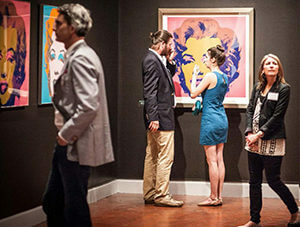 Exhibitions explore diverse art offerings and encourage visitors to explore the origins and impacts of pieces. Another intriguing University gallery expanding the vision of art awaits at the Kluge-Ruhe Aboriginal gallery, the only non-Australian gallery outside of Australia devoted entirely to Australian aboriginal art. The gallery was inspired by the belief that an understanding of the similarities and difference in cultures will foster an appreciation for those qualities we share as humans. Beautiful, unconventional art will stun you with its creativity and brilliant vision. 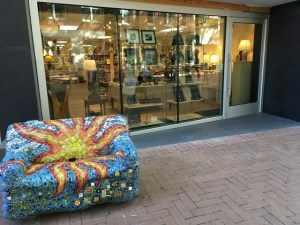 Right on the Historic Downtown Mall, C’Ville Arts is an eclectic mixture of talented local artists. High quality offerings are affordably priced, and the varied blend of media and art ranges from paper crafts, paintings and drawings, fiber arts, glass and ceramics, photography, and so much more. 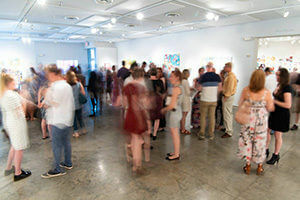 An artist is always on the premises, connecting the Charlottesville art community to the community at large by giving them a chance to interact. Chroma’s singular and compelling vision hosts exhibitions that embody their mission to present abstract and contemporary artists with truly unique offerings. Chroma seeks out new and interesting spaces for “pop up” art shows on the Downtown Mall as well as hosting private appointment tours at the Vincennes Road location. They are devoted to helping art collectors to envision life with art in their homes and their attention to gallery space reflects their attention to detail, making Chroma a wonderful place to shop for statement art for your new home or office. For original art and collector’s pieces by the world’s leading artists, go no further than the Graves International Art gallery. Old masters and contemporary art are available as originals or hand-made prints only, reflecting the gallery’s pride in refusing to offer signed reproductions. Collectors who long to experience the texture, weight, and lighting shared with the artist who created the work will find that Graves is the place to find that one and only piece. Telegraph is much more than your average comic book store. 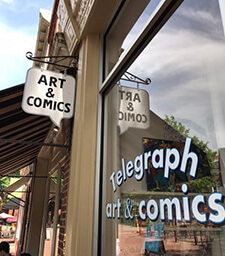 In addition to offering fine art prints that celebrate the bold style celebrated in graphic art, Telegraph helps local artists show their work and start their own comics and graphic novels. Buy prints created by local up-and-coming artists who are changing the face of modern graphic art in surprising and wonderful ways. 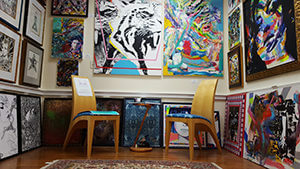 The Harris Gallery is a dizzying collection of fun, funky, contemporary art for the home. The gallery is literally packed with interesting and colorful options that will bring inspiration and beauty to your walls. The relaxed atmosphere encourages visitors to stay and get comfortable with the art, making for a free-spirited and delightful art experience. The curators at Les Yeux du Monde want to literally “open the eyes” of the community and help them to see art, the world, and even themselves differently. Established and emerging artists are chosen for work that gets people talking and inspires them to live a life that is fully occupied by art. The amazing gallery features beautiful modern architecture and a viewing space that it is a work of art by itself. Charlottesville offers so much for the art-hungry – in addition to a rich visual art community, theater, film, photography, poetry, dance and music all thrive in Charlottesville. 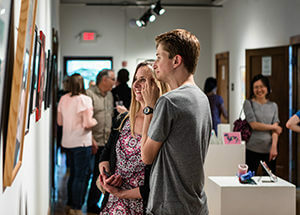 A “First Fridays” celebration invites the community monthly to explore galleries, and many of the local restaurants, coffee houses, book stores and furniture shops feature outstanding local art. Start your artistic journey today – just step right outside your Charlottesville apartment.